Warner Brothers Scooby Doo Plush Nutcracker Stuffed 1998 Studio Store 10"
Scooby Doo Oversized XL Coffee Mug Warner Bros I'm Tired 'till I Get Wired! 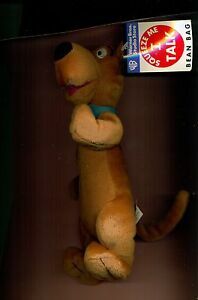 Huge Scooby Doo Rasta Dog Plush Stuffed Animal Jamaican Rastafarian 20"
merlene2 has no other items for sale. $1.50 shipping for each additional eligible item you buy from merlene2. I accept Paypal within 3 days. Thank you so much.